The 3rd Century B.C. is when Ying Zheng came into power. Under his leadership, the Warring Lands were united as one. 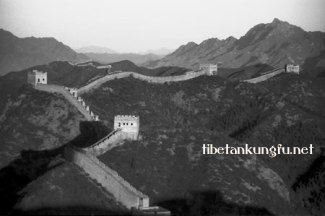 The Great Wall, standardizing language, and the incredible Terra Cotta Army was under his rule. The first time that China was united under one empire around 300 B.C. Qin Shihuang (his real name was Ying Zheng) was United China's first emporer. Many historical achievements were made during his reign. The battles that took place were brutal to accomplishing this unity, much like our own civil war, many people perished. Qin Shihuang was responsible for organizing hundreds of thousands of workers to build the Great Wall of China that continues to stand as one of the greatest historic marvels of mankinds history. The Qin Dynasty was stationed in area known as Xi'an; during this time period it was referred to as Chang'an. Qin Shihuang was referred to as "The Chin"; it is speculated this is where the title of China originated. Qin brought many historic changes to China, so many a list may be more appropriate. Legal System with punishment and rewards. Community groups were organized of 5-10 families. These groups were held responsible for the behavior of any individual of one of the families in the group. Currency was standardized with the copper coin with the square hole in the middle. The Terra Cotta Army. This army that is built from clay is over 6,000 soldiers strong. The details are unmatched. Each of the soldiers are lifesize and lifelike of actual soldiers during the army. The details of the face, the type of weapon the soldier carried, rank, even many on horses were accounted. The army faces the east and protects the tomb of Qin Shihuang. This tomb was discovered in 1974 while workers were digging a well in Xi'an. Qin Shihuang was not popular and ruled for 37 years when he died suddenly in 210 B.C. 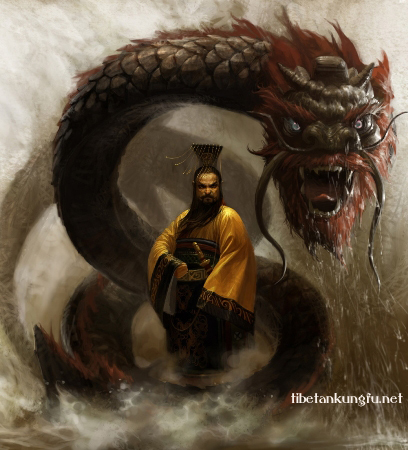 His son became the second emporer, but was overthrown in 206 B.C., starting the Han Dynasty.